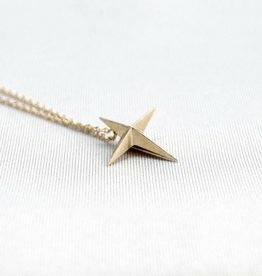 Necklace with a star charm pendant. The chain is 42 cm long. Available in brass, bronze, gold, silver, plated and steel in different finishes.